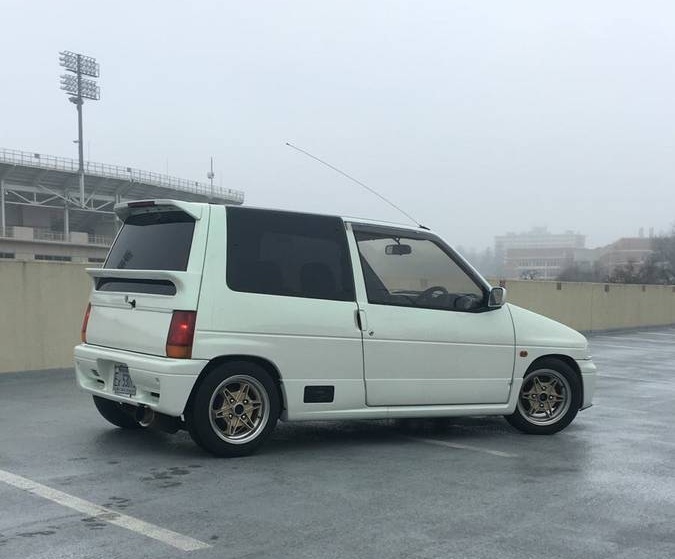 It was going to be hard to beat yesterday's Mitsu Minica Dangan ZZ Minigun Zipzop Frizzle Frazzle Zizzer Zazzer Zuzz, but DT tipper Ryan sent in the following tip with comment: I'll see your ZZ and raise you an Alto Works RS/R. Well played Ryan...well played. 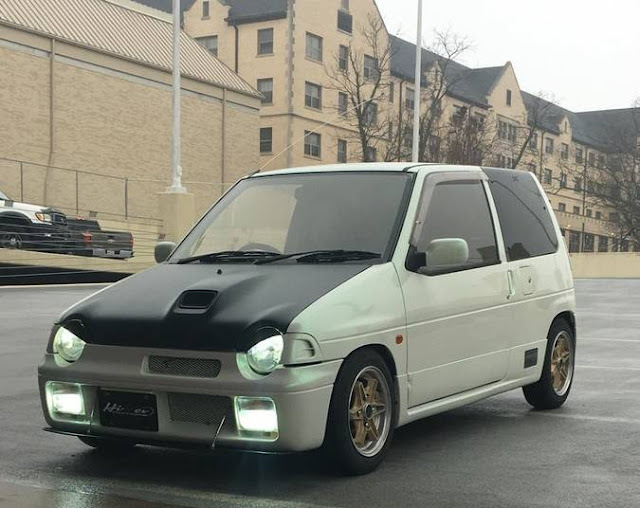 Find this 1990 Suzuki Alto Works RS/R offered for $6000 in Little Rock, AZ via craigslist. JDM RHD Suzuki Alto Works RS/R. Clean US title. It now has almost 26,000 km on the dash. It has been my dd for over half a year. I have driven it from Little Rock to Fayetteville multiple times with no problems. Also has been driven out of state to Dallas. Heat and AC work. Very fuel efficient and fun to drive! Looking to get $6000 but am open to reasonable offers. Yeah, but does the engine make chew chew sounds? Isn't Little Rock in AR? It is! So is Fayetteville. This vehicle is actually located in Fayetteville, I see it all the time. This is in Fayetteville, Arkansas, FYI. I see it on a weekly basis. What a coincidence. I, too, am located in the Fayetteville area. I submitted this to tips@dailyturismo.com partially because it's been clogging up the "JDM" feed on my craigslist scraper for the past 6 months or so. It pops up every time dude relists it, and dude relists it every week or two. Next time you see it, if you happen to catch the owner, you should suggest they hit up cars/coffee/donuts up at the krispy kreme in Bentonville every 1st Sunday of the month. I've seen a number of cars show up w/for sale signs and leave w/new owners. Especially at this price point. I'll keep my eyes peeled as well.